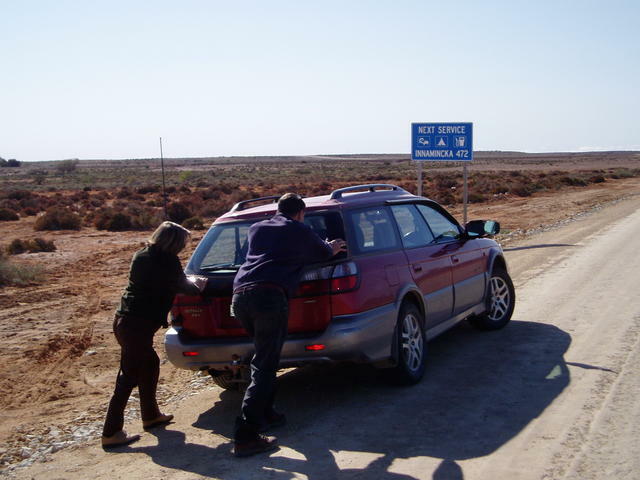 Travelling to remote places in Australia requires some planning to ensure a safe and enjoyable trip. Plenty of information is out there about survival and safety matters, but I'll be concentrating on more basic concerns. Actually it is not the outback remoteness that prompts this article - this checklist can help if you're just going up the road for a few days. These days we've all become quite dependent on keeping in touch with family, friends and the office when travelling. So have a look at our special article on Outback Communications to check out whether you've got the necessary equipment to write an email or place that important phone call in an area that is not in a well populated area. Then there is the question of powering all your appliances when travelling. It's amazing how often I hear stories about travellers who have overlooked how to recharge even their 3G phone for the day after their first day on the road! So check out our special article on Outback Power which covers a whole range of issues on keeping your everyday appliances charged up when on the road - phones, movie cameras, digital cameras, torches, computers, PDA's...... the list is endless theses days. do you now where and when you're going? do you have sufficient fuel to turn back if the roads are blocked? what about food, water and other beverages? can you replace a tyre or three? can your partner drive the rest of the way, or all the way back? are you, your passengers, vehicles, and towed equipment all insured for the road you're travelling on? do you have access to cash in an emergency? do you have the ability to modify your itinerary when you find a new piece of paradise and decide to stay over - and does everybody else know you've made this last minute choice? and can your vehicle handle the trip involved - or would flying be better? 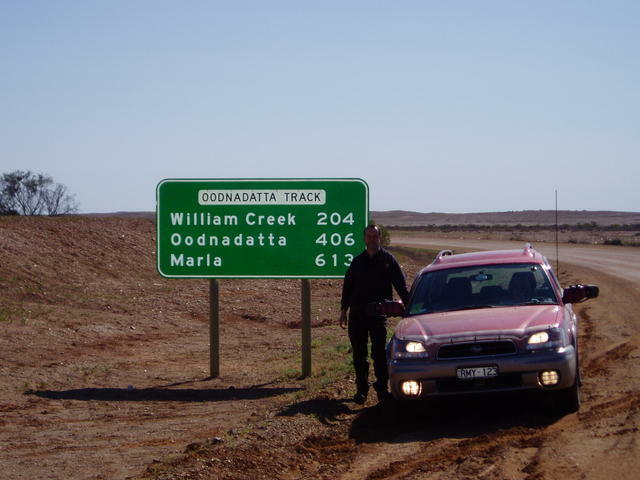 Let's face it, you can pull out of home and have an engine failure just 100kms down the road - and that can be just as much anxiety as being stuck half way up the Birdsville Track! The good news is, that the great off-road adventure trails of Australia are more populated and full of caring and helpful co-travellers than you thought. But you should still be prepared! 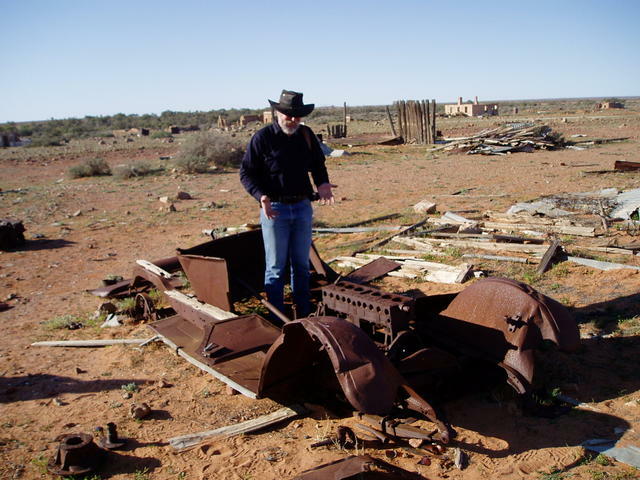 Servicing and planning - don't get stuck in the Australian Outback - take some spares! no.... seriously: If you are well prepared, know your itinerary and distances, and carry the necessary fuel, water and spares - you can reach lots of great Aussie outback destinations! 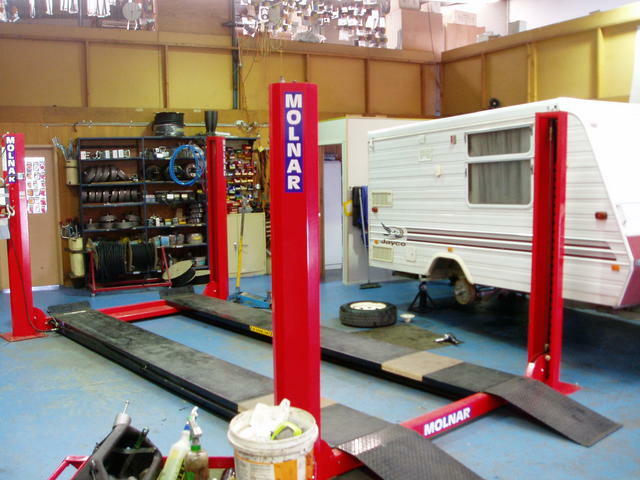 Vehicle preparation for a trip is not just performed by your favourite service organisation. There's some obvious, but usually overlooked, items that you should be doing yourself - some that are so obvious, they only get noticed too late. Amongst the most common vehicle failures on the road, are those attributable to radiator/cooling systems; tyre condition/pressure/abuse; battery condition/electrical failures. So here's some day to day check lists for you to consider. check the levels of other important fluids like steering oil, clutch or automatic transmission fluid, brake, differentials (all of them! ), gearbox, and transfer case if appropriate to your 4WD. make sure that the tyres have plenty of tread if a long journey ahead - plus some! check the spare, and put plenty of air in it - but be prepared to lower it to the right level when used - so carry an air pressure tool. empty all the bins, trays and floor mats so that you're not cluttered up to begin the trip - because it sure will be by the end. lubricate your towball, hitch assemblies and sway bars, and carry some good old WD40. Serious offroad or trips to remote areas, should be especially catered for. All the fluids and check procedures need to be done someteimes in remote areas, miles from anybody. So you need to carry all these basic fluids with you, safely, and enough of them. And of course carry a few important spare items - like spare air cleaners, oil and fuel filters, spare tyres and tyre tubes and tyre change kit, spare light globes, and a complete toolkit for side-of-the road emergencies. Oh, and take a chammois and some cleaning rags! Travelling the road around mid afternoon or at night sure picks up a heap of bugs - and you do want to see the scenery tomorrow - so come prepared and literally, watch where you're going. It sure helps cut out sun glare! 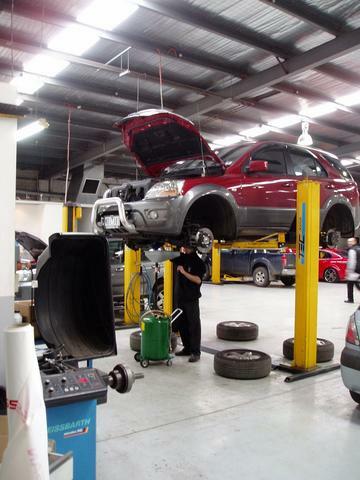 Whether it is in-warranty, ex-warranty, done by manufacturer representatives or bonafide service companies, the scheduled servicing of a vehicle by qualified personnel, is more than just recommended. It is just plain common sence to ensure your rig is running at its optimal performance and is completely safe for the road. This is particularly the case if towing, or travelling rough terrain. Drive belts/drive chains - these can be really nasty if not checked and changed on time. Sure they're expensive on some vehicles, and the rubber variety are particularly susceptible to failure if overlooked. If the drive chain/belt breaks, you can expect big bucks and lost time! 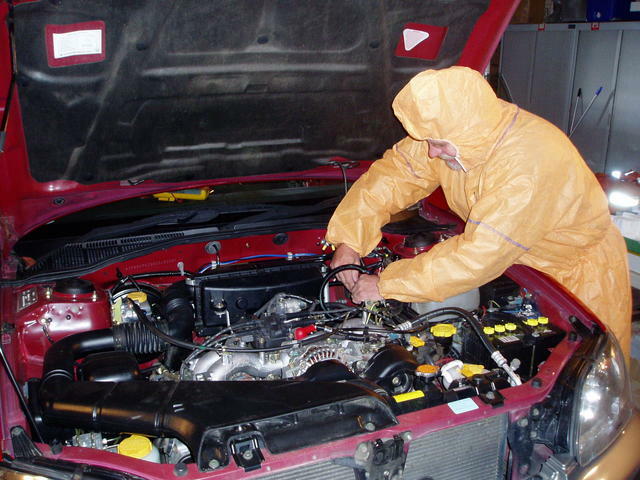 scheduled servicing also does all the fluids, but you should be doing it anyway - see above. fuel filter change - you'd be surprised what rubbish is in some fuel stations and your rig gets to collect it. But eventually, the filter cops it! battery condition inspection/replacement. These days, batteries tend to work right up to the last moment and then die - usually when you don't want them to. So don't start a serious trip on an old battery. steering condition, power steering, hoses and adjustments. 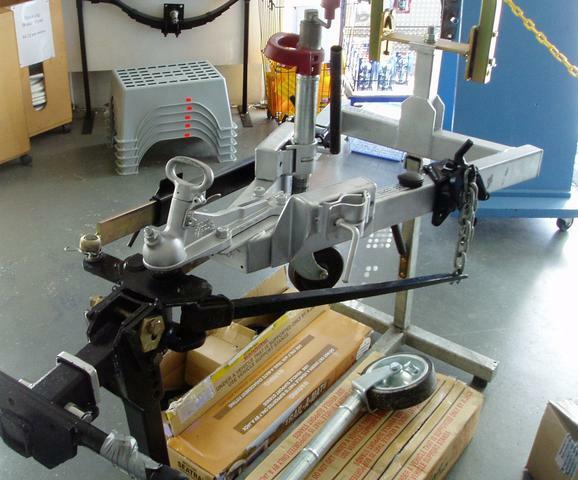 driveshafts, universal joints, linkages - check and replace where warn. tyre condition, toe-in, camber and wearing status. This is one aspect of car servicing often left to other parties. So make sure your tyres are repalced when warn. That's all that's between you and the road, after all! fans and radiator condition. Pressure test, flush and check the radiator - this is one typical area of failure, particularly if the 'big trip' is done in a rig that you only use a few months of the year for that purpose. air conditioner check, re-gas if necessary, and test thoroughly, inspecting for any leaks. what's often forgotten or skipped? clean out any drain holes in the cavities of your doors and wheel arches so they don't hold rain water there, and eventually rust out your fine rig! tighten up those after-market accessories like driving lights - you may want them after dark! check any dangling cables, like the ones that link to your towbar, or the accessories that have been added after purchase, like UHF and underhood compressors and the like - get some tie-wraps and secure them down. check any loose wiring or items that may have started to move around under the bonnet and secure them down, to avoid touching something hot or powered. Now you've got a rig you can comfortably jump into and head off for a great holiday - safely! detailed servicing of suspension, brakes, wiring and catering for any special accessory fitting. Fitting extra accessories like storage access, extra gas bottles, additional dolly-wheel brackets - all easy at Hardings! If you're enjoying exploring rural/regional or outback Australia with a caravan or camper, then some special attention should be given to the those items. But even local visits just down the road for that regular weekend getaway, can all add up to lots of kilometres spent over time, with the unit on the road, and servicing is needed regardless. Wheels, brakes and bearings stripped, checked and serviced. Full inspection of body components. Jockey wheel and jacks lubricated for ease of operation. External traffic lights and wiring connections inspected. Water Tank mountings and hoses inspected for integrity and protection. Handbrake cable adjustment and effectiveness checked. An undercarriage service should be undertaken to prepare your van for the next 10,000 kilometres and should be accompanied by a report detailing future maintenance requirements. 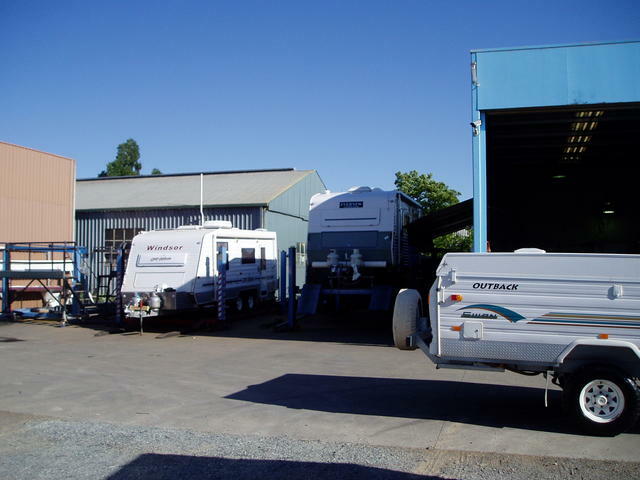 In Victoria, a company that is acknowledged as an industry expert on electric brakes and caravan servicing, is Hardings Caravans, owned and managed by Andrew Gallop. 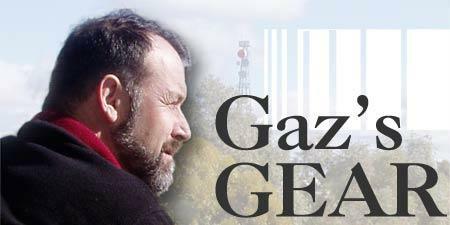 This company comes highly recommended, and personally used by Gaz. It has been operating since the 1970's and the original founders still play an active role with seminars and sharing their experience. They're a great family business, with years of experience, and always pleased to go those extra yards to make sure caravanners have their rigs well looked after for a long life cycle. The above servicing suggestions are only a small part of their professional offerings. With your family or friends onboard, and travelling the distances and conditions that Australia uniquely presents, it is just plain common sense to make sure that the safety and reliability of your rig is checked at all times. Give Andrew or his team a call on 03-97298477. They'll give you the good oil on making sure you enjoy your trip! For more information on the benefits of carrying the right spares, equipping yourself with the right accessories, and a short list of tasks that you can perform yourself, you should also checkout one of their many helpful technical tips. Hardings Caravans - they know servicing! putting in your favourite Gear! 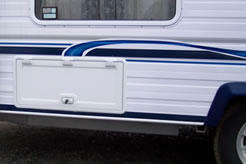 We strongly recommend that newcomers to towing/caravanning, seriously consider taking courses in the correct way to use, and where to use, level-riders, sway-bars, and how to hookup safety chains and power properly. We hear of too many horror stories that have happened invariably due to driver ignorance of the physics and risks involved in driving what is really, an articulated vehicle, when towing. For instance: ALWAYS remove the weight-distribution levelling equipment when driving up a steep drive, or travelling on/off a river ferry where highly-angled ramps are involved. Putting excess strain on WDL/hitch equipment in such situation can lead to damage to the towbar or towbar mounting to the chassis. Always consider the limitiations of your vehicle - particularly the more recent cross-over SUV type vehicles that boast permanent AWD - as many lack a proper central differential, and demand a very exacting monitoring of weight loads and distribution, constant, correct and even tyre pressures (different to non-towing driving situations). A great deal of wear and tear on viscous couplings and drive trains can ensue, unlike conventional 4WD units with proper part time differentials all round. 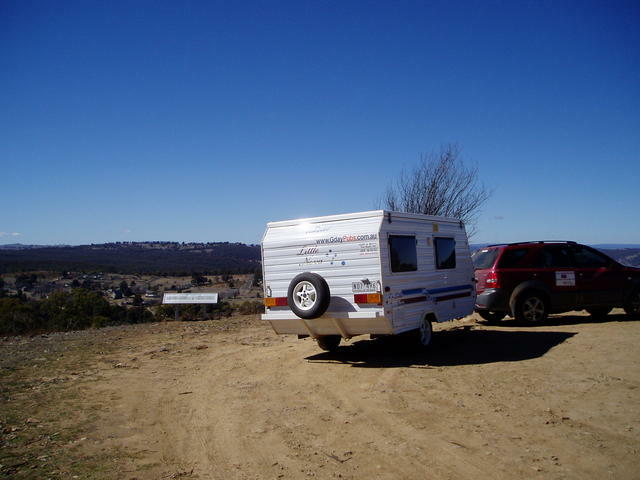 Towing can also place a lot of stress on monocogue constructed vehicles, which, unlike the more heavy duty chassis structured towing vehicles, require greater attention to where you can actually take a towed camper/caravan or other trailer/boat. It's the old horses for courses argument - so use the right designed vehicle for the intended job, and leave some spare capacity in there for contingencies and safety. Remember, maximums are just that, a maximum, not a recommended capacity! Just think..... you don't drive a car around red-lining the tacho all the time, so take the same attitude when looking at towing load and tow-ball capacities, and leave plenty of spare room for variations and safety. Enjoy the journey (safely), not just the destination! Make sure you know the limitations of your vehicle!